LYNCHBURG, Va. - Meet management for the 2018 VA Showcase released the following statement Wednesday evening. "The VA Showcase is proud to announce our first ever pair of Honorary Meet Referees. This distinction is bestowed upon individuals who went above and beyond to support our meet and most important the youth in our sport. These two individuals are Western Branch's Claude Toukene and Liberty's Ernest Carter. "The first of these referees is Western Branch's Claude Toukene. He receives this distinction after winning the inaugural 4x200m relays in 2017. 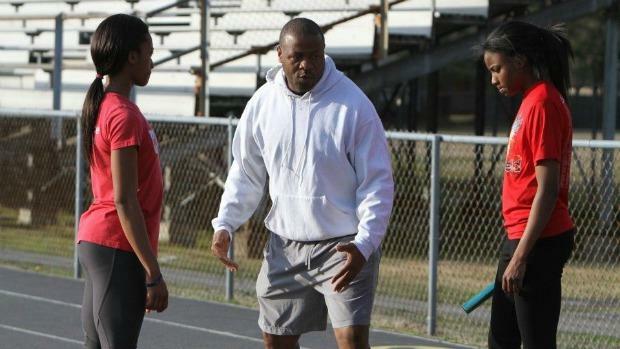 His two teams not only won the events but went on to set US #1 marks and strong facility records that stand a year later despite many high-caliber meets using the track. "His Bruins squads return to Lynchburg again this year and will attempt to defend their titles. His attendance at this meet and him bringing his elite talent cannot be overstated as an integral part of the success of this meet. Meet management thanks him for the continued support. "Our other referee is Ernest Carter of Liberty University. Though he could not be an official part of the meet, he was the first person to hear our ideas and point us in the right direction to make this meet happen. If it had not been for he and his family, this meet and the entire University might not be around today. For that reason and many others we thank him dearly for his support."